VERANDA RESIDENCES Overlook the fairways of La Iguana Golf course. With 1, 2 or 3 bedroom options to choose, Veranda offers a wide spectrum of possibilities. This exclusive community of 64 condominiums is just steps away from the Beach Club, Marriott Hotel and the golf course. All units feature exquisite finishes and spacious outdoor areas. 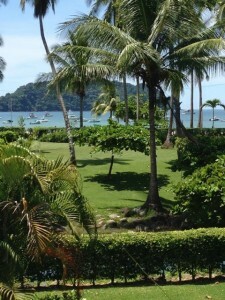 Starts at $290,000 1 Bed, 1 Bath 750 sqft COLINA CONDOMINIUMS Colonial architecture with its lush surroundings. Interiors are fresh and inviting with vaulted ceilings and generous windows. Large terraces invite you to enjoy the stunning views. This 90 condominium community is located a short walking distance from all resort amenities. Starts at $469,000 2 Bed, 2 Bath 2000 sqft VISTA BAHIA RESIDENCES Located on the first terrace to your right when you enter Los Sueños. These 1 and 3 bedroom units with their European inspired design offer open floor-plans, light colors, large outdoor spaces and incredible views from above towards the ocean. Several units feature private plunge pools in addition to the three shared infinity edged pools. Starts at $482,000 1 Bed, 1 Bath 1450 sqft DEL MAR CONDOMINIUMS Enjoy the use of three free-form swimming pools and Jacuzzis in a beautiful park-like setting. Covered balconies and terraces offer comfortable vantage points from which to take in the panoramic views of Herradura Bay, the marina and fairways. Starts at $485,000 3 Bed, 3.5 Bath 2000 sqft ECO GOLF ESTATES LOTS AND HOME SITES Eco Golf Estates is the perfect location for those home buyers who want the ultimate in privacy with the majestic feeling of being surrounded by the tropics. Eco Golf Estates invites you to create your own vacation paradise or make one of the existing Villas your home. BELLA VISTA CONDOMINIUMS: Located in the heart of the Resort and walking distance to all amenities. Bella vista, or “Beautiful View”, was designed with luxury in mind. Interiors are spacious and airy with high ceilings, fresh colors and fine finishes. Starts at $800,000 3 Bed, 3.5 Bath 3100 sqft BAY RESIDENCES AT DEL MAR: An exclusive enclave of 30 waterfront condominiums. Wrap-around terraces provide the perfect vantage point from which to enjoy the spectacular views. 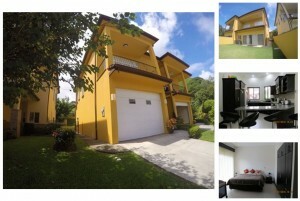 Beautifully appointed with Italian ceramic tile flooring and counter-tops, as well as Costa Rican hardwood cabinetry. Starts at $759,000 Fully furnished, 3 bed, 2 bath, 2195 sqft. 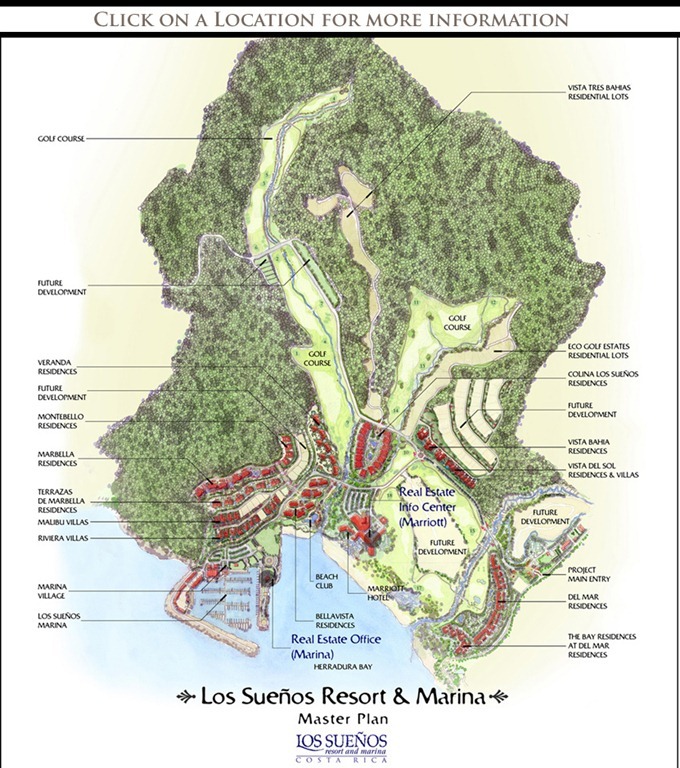 MONTEBELLO RESIDENCES In Altamira nestled against Los Sueños lush 600-acre private rainforest reserve with beautiful resort, marina and ocean views. Spacious floor plan, open concept kitchen and incredible Costa Rican cabinetry are just a few features which give these homes their luxurious feel. All of the 24 Montebello residences offer incredible ocean or rainforest views; all buildings have elevators and assigned covered parking. Starts at $889,500 3 Bed, 3 Bath 2550 sqft VISTA TRES BAHIAS LOTS AND HOME SITE Located on the hilltop above the Colina Community. These lots and single family homes provide incredible birds-eye views of Herradura Bay and the Pacific Ocean. Create your own paradise from scratch, or make one of the existing built villas your home. Ocean View Lot $975,000 35,000 sqft MARBELLA CONDOMINIUMS In Altamira with phenomenal views of the beautiful marina, expansive ocean and Los Sueños Resort. Lush landscaping surrounds the six infinity pools and jacuzzis, providing the perfect vantage point from which to take in the majestic vistas of Herradura Bay. Nestled in the rainforest, Marbella offer the utmost in privacy and comfort; each unit is assigned covered parking and storage spaces and is equipped with elevators.